I changed mine to just s which involved swapping the alt/option+cmd+s with Cycle subtitle track which was originally using s as a hotkey. I had never used that function so it wasn’t an issue for me. 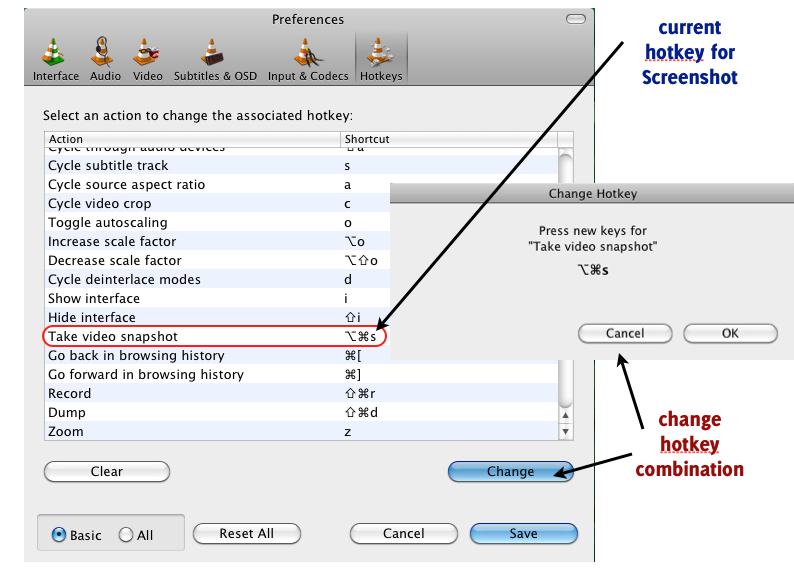 To do this just scroll down to Take video snapshot and click the Change button to enter a new combination. If you decide to do what I did it will warn you that another hotkey is already using s and ask if you are sure. If you click OK, it simply changes the Cycle subtitle track hotkey to nothing. Remember to save your changes before closing Preferences.